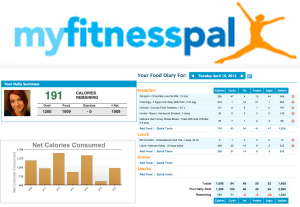 MyFitnessPal is a great healthy companion! I discovered the MyFitnessPal app back in 2013 and have used it ever since. I had heard about it before, but I was never big into counting calories. Long story short, I was instantly hooked. This app is so much more than that! You can enter all of your food, weight loss goals, and fitness activity in one place. It separates out how much sugar, carbs, protein, and vitamins you need daily. Its a one stop shop for your health and fitness! One of my favorite parts about using the MyFitnessPal app is learning how many calories that different meals have from popular restaurants. Love this! It really helps keep you honest about what you’re eating. We all love a good chain restaurant now and again, but we don’t need to eat an entire meal that’s over 1500 calories. That’s excessive! Knowing the calories of the meal gives you options. You can totally just eat half the meal, split it with someone else, or order something different that’s equally delish and low in calories. Thank you MyFitnessPal! You keep me honest with what I’m eating. You remind me what’s healthy and what’s not, and when I drop off from using you it’s because I know that what I’m eating isn’t good for me. You also keep me honest about my snacking. I love to snack, but its a sure fire way to gain unwanted weight. Yes kids! That’s right. I am a snacker. I try not to be, but using this app really keeps me honest about what I snack on and how much I have. MyFitnessPal keeps my snacking under control by having me record each snack, so I know what’s too much. Plus, I can still stick to my diet and love it! 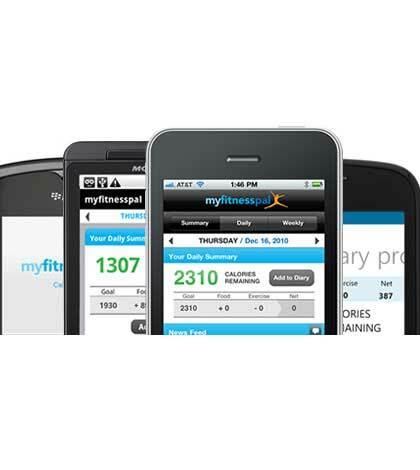 MyFitnessPal is a must use app for me daily! Next PostNext MapMyRun my favorite App!